The Second World War witnessed the introduction of hundreds of cutting-edge and often bizarre weapons, many of which became quite famous. But there were plenty of others that never got the same kind of notoriety. Here are 11 weapons from WWII you probably never knew existed. Before we get started, it’s worth noting that all of the weapons listed here were put into action during the war. There were a ton of crazy and highly conceptual weapons that were considered, but never deployed. These ones, on the other hand, were actually put to use. Like the V1 cruise missile and the V2 rocket that preceded it, the Vergeltungswaffe 3 Cannon (a.k.a. “England Cannon”) was another so-called Nazi "vengeance weapon.” It was a massive super gun built directly into a hill and capable of firing artillery shells across the English Channel from France to London. The V3 operated according to a multi-charge principle in which secondary propellant charges were fired to progressively accelerate the projectile as it moved along the barrel of the cannon. During trials in May 1944, the V3 achieved a range of up to 55 miles (88 km), and tests in July 1944 saw shells reach a distance of 58 miles (93 km). Of the two V3s built, only the secondary gun saw action. From January 11 to February 22, 1945, some 183 rounds were fired. It’s target was the recently liberated city of Luxembourg. But it proved to be largely ineffectual; of the 142 rounds that landed, the V3 took the lives of only 10 people, wounding another 35. Speaking of big guns — and the Nazis clearly had a thing for big guns — these two 31.5-inch caliber German cannons were absolute behemoths. And in fact, they are the largest cannons the world has ever seen. Each of them had to be transported in several pieces, assembled, and then mounted on a prepared emplacement — a procedure that required around 4, 000 men! The Nazis deployed an entire anti-aircraft regiment to protect them, along with special troops to guard against partisan attacks. After the fall of France, Winston Churchill vowed to “set Europe ablaze.” To that end, British secret agents were equipped with an assortment of disguised explosive devices that would have made even James Bond jealous — bombs that were made to look like soap, shoes, bottles of chianti, bicycle pumps, suitcases — and even rats. But the most exotic device was the "explosive rat". A hundred of the rodents were procured by an SOE officer posing as a student needing them for laboratory experiments. The rats were skinned, filled with plastic explosive, and sewn up. The idea was to place a rat among coal beside a boiler. When they were spotted, they would immediately be thrown on to the fire, causing a huge explosion. That was the theory. As one of the SOE files records: "This device caused considerable trouble to the enemy, but not quite in the way that was intended." The Germans intercepted the container of dead rats before they could be used for "operational purposes". But all was not lost. According to an SOE report, their discovery had an "extraordinary moral effect": the rodents were exhibited at all German military schools, prompting a hunt for "hundreds of rats the enemy believed were distributed on the continent". SOE concluded: "The trouble caused to them was a much greater success to us than if the rats had actually been used." Looking to refine the power of the Kamikaze attack, the Japanese introduced the Ohka in September 1944 — a large piloted bomb. As the Russians were being overwhelmed on the Eastern Front by the Wehrmacht, the Red Army took to desperate measures — including the use of the so-called anti-tank dog. Initially, these dogs were trained to carry a bomb to a specific target, release the device with its teeth, and then return to its operator. Unfortunately, it was nearly impossible to get the dogs to do this, so the Soviets relied on much simpler strategy: just blow up the dog. These suicide dogs were taught that food awaits them at the bottom of tanks. So, with a 26-pound bomb strapped on — and with the dogs deliberately kept hungry — they would desperately run to their targets in search of food, unaware of their eventual fate. A lever attached to the rig would strike the bottom of the tank as the dog dived under, causing the bomb to detonate. The dogs became so effective that some Germans began shooting any dog on sight. The Soviets used about 40, 000 dogs for various army tasks, and an undocumented estimate places the number of German tanks destroyed at about 300. Dubbed Fritz-X, this was an air-launched German radio-controlled bomb. Its primary function was to destroy heavily armored naval targets. 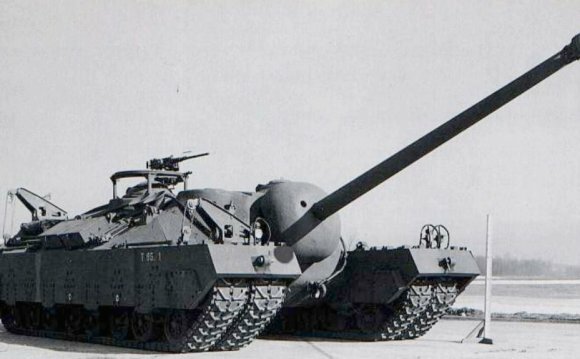 It was based on the standard SD 1400 armor-piercing bomb, but it featured superior aerodynamics, four small wings extending 4.4 feet (1.35 m) across, and a tail. But to drop the thing, a gunner had to fly directly over the intended target, thus leaving him tremendously exposed. Shoah foundations are organizations that are formed to further the remembrance of the Holocaust of World War II. There are currently two major foundations that are internationally active.